Lucjan Klimsza was born in Havířov, a small town in the Czech Republic. He studied at the Theological Faculty, Comenius University in Bratislava, where he earned his doctoral degree Doctor of Theology (ThDr.) in 2007. In 2009 he earned his doctoral degree in History of Philosophy (PhD.). In 2014 he finished his studies at the Faculty of Arts at Comenius University in Bratislava, where he defended his doctoral degree Doctor of Philosophy (PhDr.). His main area of interest is the ethical problem of values in the context of postmodern philosophy. He has published articles in several journals, for example The New Educational Review. He lives with his family in Havířov and works at the Department of Social Studies, Pedagogical Faculty of Ostrava, University of Ostrava, where he lectures History of Philosophy and Introduction to Ethics. He is the author of several articles about the values and also some books in the area of History of philosophy like Wust: Identita nejistoty (Wust’s Identity of Uncertainty in translation), and in the area of axiology Hermeneutical Aspect of Values. 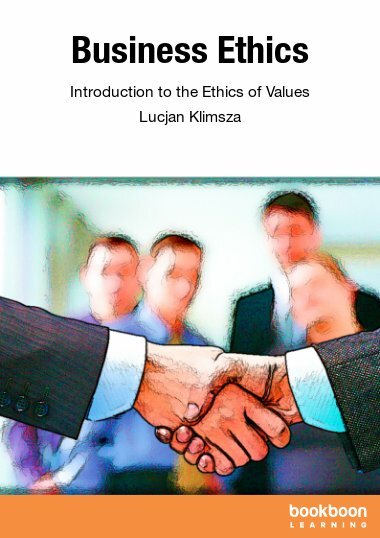 He is also a co-author of educational apps in Appstore like History of Western Philosophy and History of Western Ethics which are great additions to the book Business Ethics, published in Bookboon.